​Having led an industrial titan through a digital revolution that upended traditional assumptions, former Chairman and CEO of General Electric Jeff Immelt motivates organizations to embrace change and shares firsthand lessons on how to cultivate innovation. Having led an industrial titan through a digital revolution that upended traditional assumptions, former Chairman and CEO of General Electric Jeff Immelt motivates organizations to embrace change and shares firsthand lessons on how to cultivate innovation. When he took the helm at General Electric, Jeff Immelt knew that in a rapidly digitizing, increasingly interconnected, and predictably unpredictable world, a fundamental paradigm shift would be required if GE was to maintain its dominance and chart the kind of future that could honor its history. He set a new vision and course for what the company could be, transforming what had been a classic conglomerate into what is now considered a 125-year start-up. Immelt left GE more disciplined, resilient, inventive, and forward-focused than it had ever been. Audiences will learn directly from a leader who has navigated volatility and invested in disruption at a scale unprecedented in business. Organizations of all sizes from all industries will gain insight into how to identify the best ideas and act on them by adopting a spirit of curiosity and purpose. How did he do it? How does a leader not only persevere, but thrive, in spite of crises? How do companies create meaningful, lasting value for their customers? Immelt answers all these questions and more, sharing key takeaways from the initiatives he implemented and inspiring audiences to embrace change so that their organization, like GE, is ready for any future. 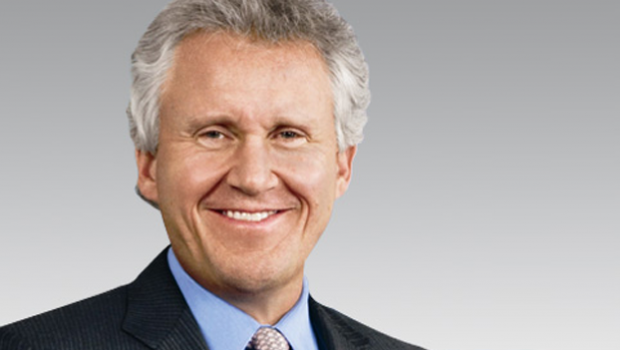 Jeff Immelt believes the task of CEO has never been as difficult as it is today. And he should know: He led a team of 300,000 people for 16 years—through recessions, bubbles, and at least three “black swan” events. He transformed General Electric from the quintessential American conglomerate into an innovative, digitally-focused global powerhouse. In the words of the Harvard Business Review, “Immelt utterly remade the organization he inherited.”How did he do it? How does a leader not only persevere, but thrive, in spite of crises? How do companies create meaningful, lasting value for their customers? Immelt answers all these questions and more, sharing key takeaways from the initiatives he implemented and inspiring audiences to embrace change so that their organization, like GE, is ready for any future. From the time he took the reins at General Electric, Jeff Immelt understood that in order to remain competitive, the company needed to do two things: innovatively leverage technologies that would allow GE and their customers to achieve leaps in productivity, and enter faster-growing markets around the world at scale. He succeeded at both, transforming GE from an industrial titan into the first digital industrial one by building a strong digital platform and establishing leadership in the Industrial Internet. He also greatly expanded the company’s global presence—today, more than 60% of its revenue comes from outside the U.S. In this engaging presentation, Immelt explains how to build a digital, global company that can withstand change and foster sustainable growth.